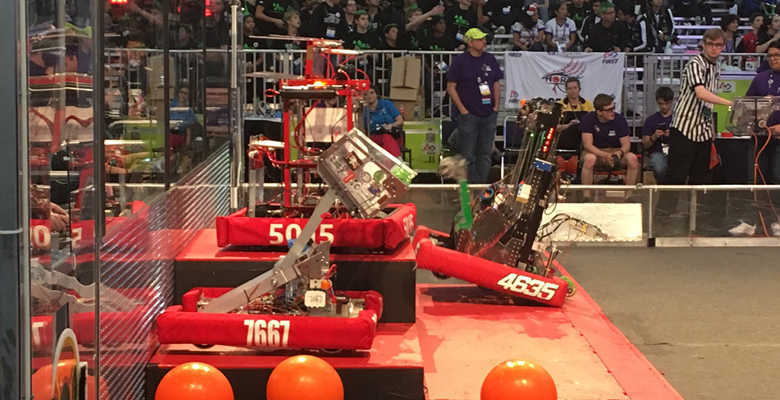 ATA recently competed at the Canadian Rockies Regional in Calgary, Alberta where we were eliminated in the semifinals by the winning alliance. 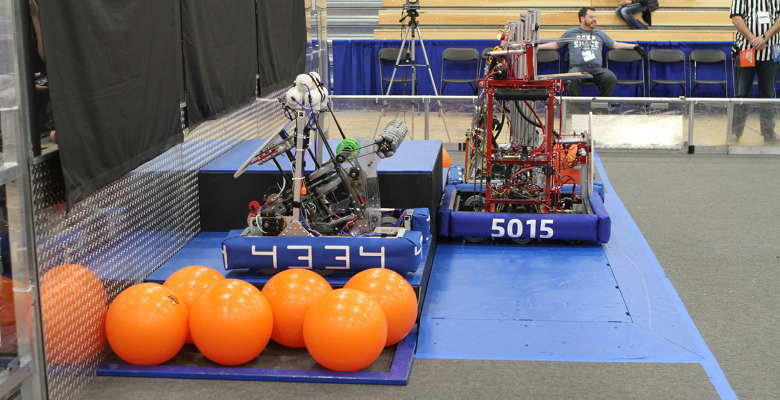 Our sister team 5015 SWAT Bots lost in the finals, but earned a wild card position to the world championships in Houston. ATA recently competed at the Canadian Pacific Regional in Victoria, British Columbia where we finished in fourth place. 2019 Destination: Deep Space Kickoff! 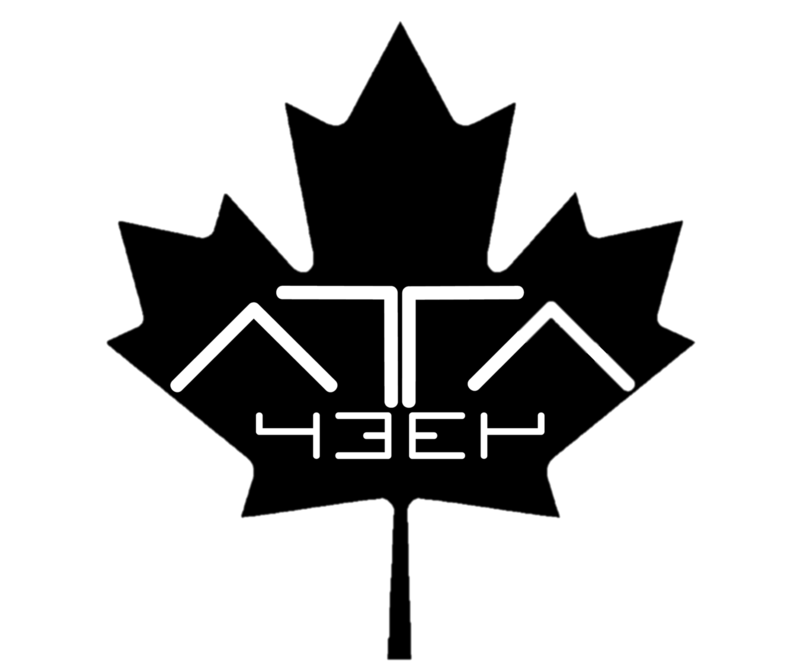 We are Team 4334, Alberta Tech Alliance, a FRC robotics team based in Calgary, Alberta, Canada. We strive to actively improve ourselves and others spreading FIRST Robotics ideals and values, both in and out of competition. ATA gives students the opportunity to pursue an interest in science, technology, engineering, and math. With a team compliment of determined, committed and skilled members, we each work year round to promote personal and general improvement within our team and others. We strongly believe that competition and a consistent "try-again" attitude is what leads to innovation and further understanding. Each of our members is encouraged to challenge themselves to their fullest potential. We do not settle for what seems possible. We work harder, push ourselves farther and achieve what some would consider impossible. 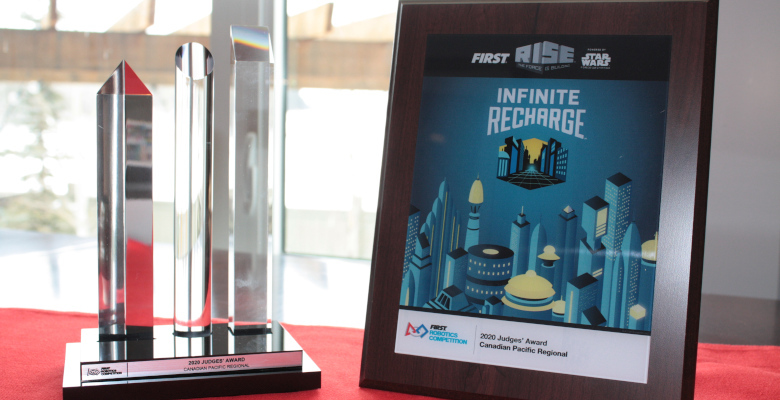 For Inspiration and Recognition of Science and Technology is an international youth organization that operates the FIRST Robotics Competition, FIRST LEGO League, FIRST LEGO League Jr., and First Tech Challenge competitions. FIRST's goal is to inspire students to become leaders in engineering and technology fields through engaging programs that build skills in science, engineering, and technology. 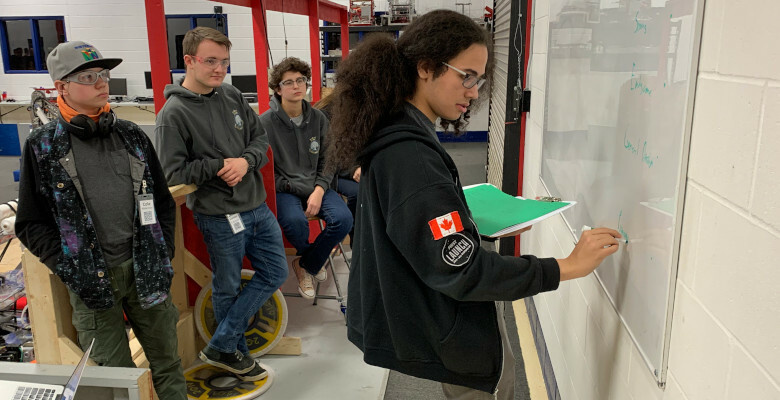 Through these programs, students are inspired to innovate, develop vital work skills, and build skills in self-confidence, communication, and leadership.